My most memorable meal was definitely the pasta and tiramisu. It was better than the clam chowder and lemon meringue. The day we had the meal was very exciting because it was the first time eating the stuff we made ourselves. The feel of the room was very exciting because we were about to eat. 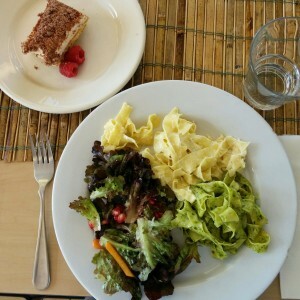 The pasta meal was memorable because it was very delicious, especially the tiramisu that K, G, and I made. ~ W.L.